On Monday night, Dennis Rodman appeared on CNN during Chris Cuomo’s segment to air his grievances and sing praise. 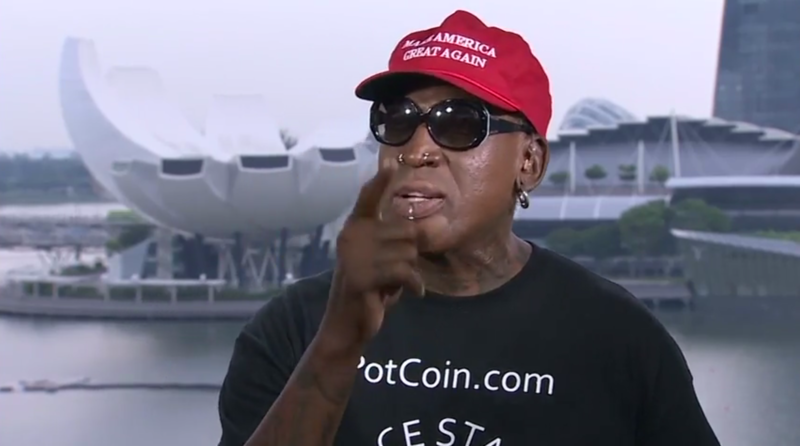 Rodman vented about being “brushed off” by the Obama administration for his attempts in connecting the U.S with Kim Jong-Un. He went on to praise Donald Trump and expressed his happiness on the historic America-North Korean matter.